Yesterday it was my day off. I played 4 hours of Persona 3 according to my game count. I probably played an hour of Persona 3. Two if we're being generous. This happens to me a lot, not just with Persona games, but with every console game I play. I look at my game counts and I feel like I really should be finished by now. Then I look at How Long To Beat and feel like this even more. It makes me question my gaming ability because it makes me think I'm taking too long because I'm bad at the game. It makes me question whether it's me or the clock or the fact I leave my console on way too much while I'm running errands. It's most likely the latter, but it's still something that has bugged me for awhile. It's weird thing to write about, but I've been noticing this since last year I got back into playing games on home consoles. When I play with portable consoles such as my PS Vita, I can see exactly how much I played because if I need to do something or I get distracted, I can just lock my Vita and come back, meaning my game count remains pretty much 100% accurate. If I walk away, pause or anything while playing a home console, the clock keeps ticking as if I'm intently sitting at my TV creating strategies when in fact I'm probably on the phone or texting or just doing something else. All these times add up to make my game count seem highly inflated at points. I am realistic about this problem though. I don't expect developers to spend time inventing a system that can tell the difference between idle gameplay time and actual gameplay time. I'd definitely love them to keep making the actual game as great as possible, so great that I forget the clock exists. And that's just it. From thinking about this more intently than I should've, the biggest thing I've learnt is that as soon as I google How Long To Beat for a game, I'm running out of enthusiasm for it. I once played Persona 4 Golden for 8 months and platinumed it because I didn't want to leave that world yet and didn't pay attention to the clock until it was done (300+ hours by the way). If you play JRPGs, you know they're long and you go in expecting them to be long, but when a game's got it's hooks into me so deeply that I don't care how long it is and what game trailer or game in my backlog I could be playing instead, it's a true winner for me. My favourite time of looking at the time played is when you see the hundreds of hours sunk into the game and you feel a weird sense of pride because you were having so much fun. I want to feel as much of that as possible. This article doesn't have a lot of point other than serving as a reminder to myself and others that as much as I'd like to play and clock every JRPG ever because I love the genre so much, that quality is more important than wasting my own (and your) time playing a sub-par game or a game that's much for me. It's hard to manage this sentiment with my completionist tendencies, but it's something I think is important enough to keep in mind. What game took you too long to beat? What's the longest time you've spent in a game? I feel you. Currently reached Setpember in P4, and it feels like I've barely reached the 50% mark. Playing on handhelds is great for long games, you can exploit most of if not all the small time windows throughout days, so you reach the credits screen much faster. I finished P3 twice and in each playthrough it didn't feel like an eternity to get there, which is how I feel with P4 since I'm playing it via emulation. If I were a 20 year old guy on summer break I wouldn't mind the crazy length, but right now I'm almost rushing through the game. I also dread the dungeons since they're sooo time consuming. I'm having the exact same experience, but with P3 since I'm playing FES on PS3. When I played Golden, I'd play it on my lunch break, on the train and at home like I would with console games, so it was definitely a lot faster (although I do think it took at least three months still haha). And I feel completely the same about dungeon time, because I know if I don't grind, I'll regret it later so I really need to use that time. 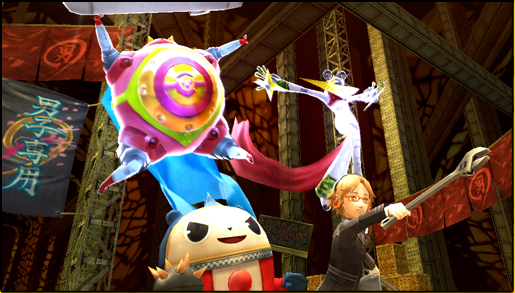 I didn't really mind it in P4G because I'd just grind out a dungeon for one in-game afternoon since the characters don't get tired. It's a struggle, I guess it's good Persona games have good stories. 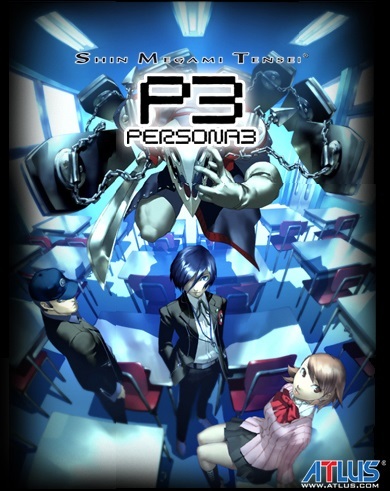 I just hope the ending of P3 is worth it!